The Löddeköpinge region is strategically located close to both Malmö and Copenhagen. It is in the middle of the attractive Öresund Region, one of Europe’s most innovative and multi-cultural environments and within an hour’s reach for some 20 million people. This area is full of finds from especially the Viking age - this needs to be made visible for a larger audience. 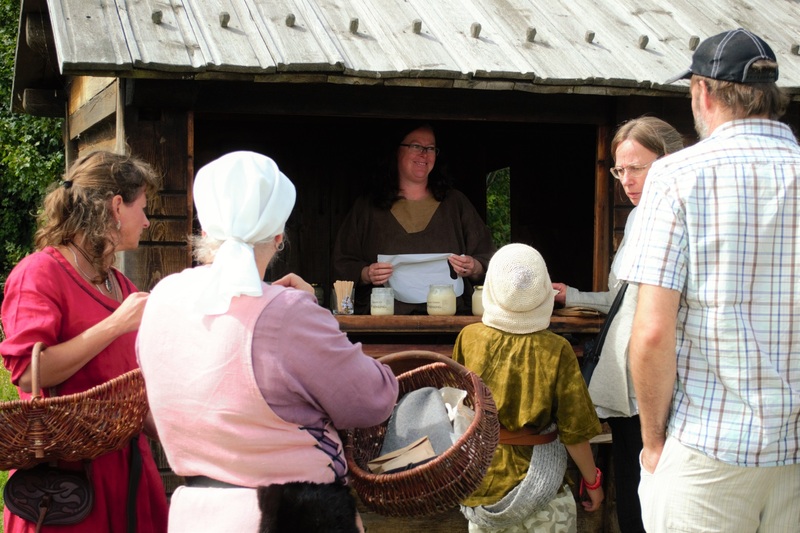 VikingaTider processes knowledge about the history of the Viking Age and offers a unique living history museum environment. Using local archaeological discoveries, VikingaTider can produce and package different experiences and products for both domestic and international visitors and supply learning activities that both stimulate and develop. VikingaTider is a non-profit foundation that is currently developing the concept of an experience park/outdoor museum with an archaeological theme. The scientific base and the most important inspiration for VikingaTider is the remarkable archaeology of Viking Age Löddeköpinge. Today the project has at its disposal a simple base camp with an information hall, office, gift shop, storage space and workshops. The complete VikingaTider will consist of two main parts; the modern main building - “Fortress of Culture” and the 24 hectares reconstructed Viking Age landscape with farms, animals and crafts. VikingaTider will be an interactive open-air museum as well as a working archaeology laboratory. In connection with the temporary “base-camp” a small Viking Age farm is built. The farm is crucial for the school activities and the annual Viking marked, Fröja Thing. A stave church is being planned and it will be a reconstruction of one the two excavated stave churches on the site. Every year larger events are arranged, like Walpurgis Night and a Viking weekend. Lectures and school programmes are also a part of the current activities.